Transvestar: A man who uses a female avatar – überthings, inc.
n. a man who uses a female avatar on popular online services such as Second Life, World of Warcraft and many others. (alt) n. A superstar tranvestite, like Mitzi from Priscilla Queen of the Desert. So we were having drinks with Alli Mooney and Jeremy from NGT at my place of the moment – Death & Company – last night when for some obscure reason we started chatting about female avatars and the men who use them. This sparked off one of the few cells in my gray matter which managed to survive the influence of the delightful cocktails (go for the Ramble or the Simo Moon) and kick a few lazy language related synapses into gear. 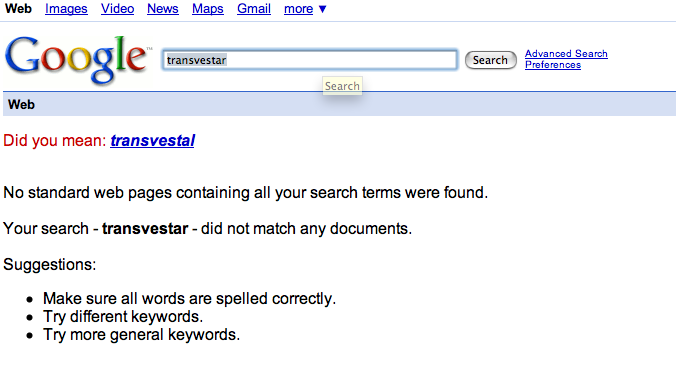 The result: Transvestar. Born of cocktail and conversation. Now free to spread throughout the world. Fly my pretty, fly. PS Some casual googling turned up zilch. Let’s hope I’m #1 soon!